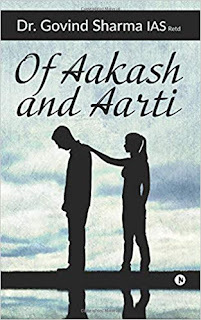 A compelling novel which would leave you in tears. The story captures the essence of how the life would turn when you become addicted to drugs. Hats off to the author who has captured this and explained it with intricate details that it would bring forth the real danger and effect that one would surely has to face when become addicted. Though we get to see the statutory warning flashing across the movie screens and on the packs of these items, we tend to give a damn about the warning. The end result would mostly be devastating unless you are blessed with a miracle. 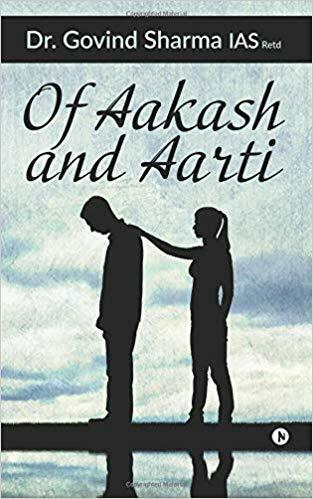 The protagonist - Aakash who lost his parents in his childhood had to go against his own will and wishes in order to fulfill the dreams of his grandfather. He falls in love with Aarti but never revealed it to her. Aarti who hailed from a poor background also had a miserable childhood. Aakash enters into good books of Rajeshwari Devi whose better half Basant Somani was the richest person in that locality. Though Aakash had all the luxuries that were ushered in on him by Rajeshwari Devi, he could not enjoy it as he becomes addicted to drugs. In the meanwhile, Aarti's life track gets changed. The story isn't a thriller but it would still keep you captivated till the end as it brings out mixed emotions which includes love, lust, treachery among others. The dark face of the society which is hiding behind the slow poison called "Drugs" has been captured very vividly by the author which has portrayed the character in its real essence. At the end of the story, I was left in a dilemma as to who I should feel sorry for - Aakash, Aarti or Rajeshwari Devi. Read the story and I am sure you wouldn't agree to disagree with me.